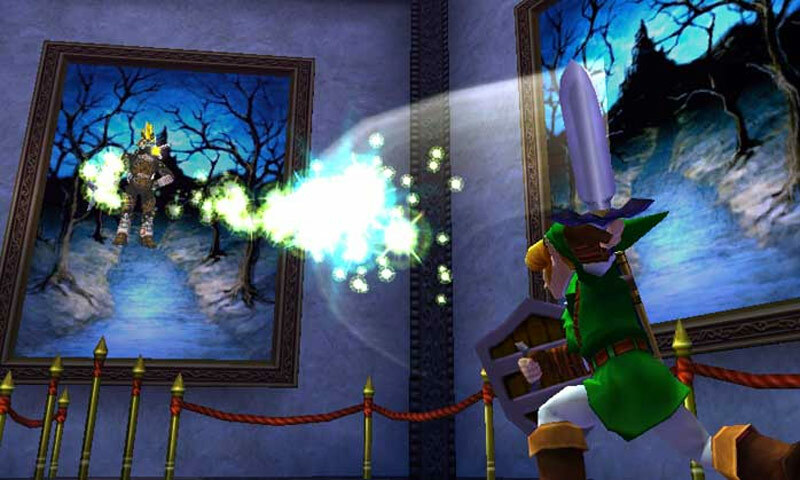 The Legend of Zelda: Ocarina of Time 3D is a must-have single player Action-Adventure game for the Nintendo 3DS. A reimagining of the original Nintendo 64 classic, the game features the full original game graphically overhauled in the glasses-free 3D made possible by the Nintendo 3DS. Along with this, the game includes all-new new challenges unique to this release, including a master quest, a new Boss Challenge mode that allows for flexibility in how you face bosses and in-game video segments.r. 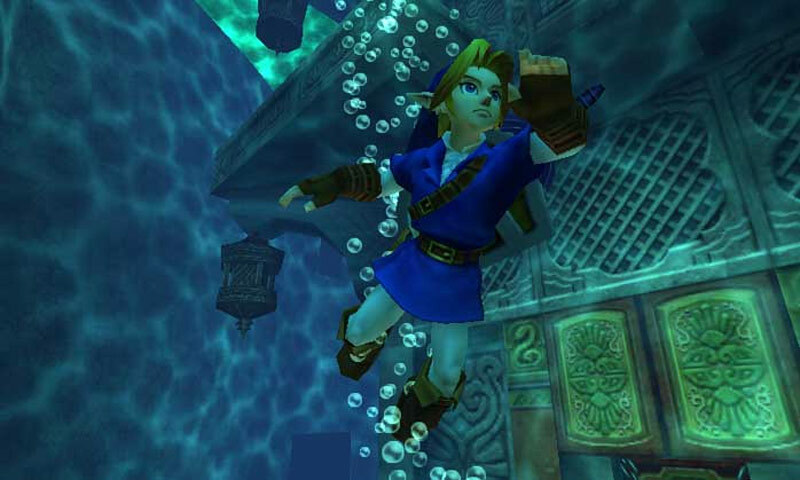 The Legend of Zelda: Ocarina of Time 3D is more than just a re-make. Sure, the story is the same, and if you've played it before, everything will feel instantly familiar. But if you fell in love with Ocarina of Time when it originally released, the revamped visuals, new interface, and bonus content will be enough to get you back into the game. Ocarina of Time 3D truly shines on the 3DS, and even though this version is optimized for handhelds, it is definitely the ultimate version of the game. Finally, a small but extremely welcome alteration is the text display speed; the N64 version plodded along very slowly, and if you hit B to skip proceed faster, it often blasted through the entire conversation instead of just that one dialog box. Now, text moves much faster, getting you in and out of long conversations more quickly. Though its roots show through from time to time, the improved visuals remove any barrier of entry that age may have posed. The new elements enhance the core adventure to create the definitive version of this classic game, making Ocarina of Time 3D the best way to embark on (or relive) this landmark adventure. Ocarina of Time 3D is a game that makes you appreciate how far the medium has come. Ten years ago, the idea of running something like Ocarina on a handheld system would be inconceivable. 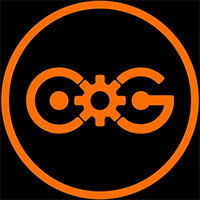 Now, not only do we get it, but we get an improved version with superior graphics. That's the sort of thing that fascinates me, and makes me very happy to be a gamer in the here and now. As you may have already guessed, this is a title that we wholeheartedly recommend. Beautiful visuals, improved controls, exceptional pacing and engrossing gameplay are all present and correct. The N64 version is an all-time gaming classic, but this is truly the finest edition of Ocarina of Time. 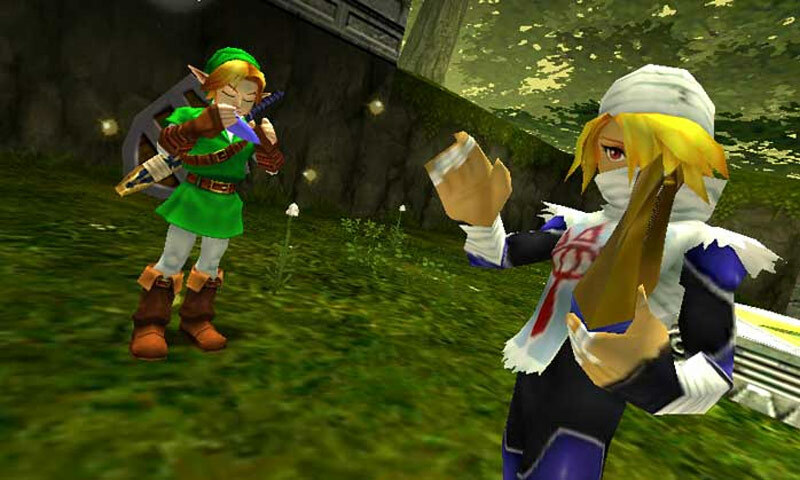 Ocarina is a game that stands the test of time. It's a great showcase of the system's 3D capabilities, and a definite must own for a starved library devoid of any real killer apps. Ocarina of Time is an excellent game. I was reminded of that fact the entire time I spent playing it on the 3DS. But I couldn't help wishing I could play Miyamoto's masterpiece as it was meant to be played: on a big screen with a more comfortable controller. The 3D graphics and UI improvements were not enough to offset my frustrations playing the game on a smaller scale without adequate controls. If nothing else, Ocarina 3D is a sign of great things to come, because if the 3DS can pull off such a lovely rendition of this deep and deeply satisfying classic, just imagine what sort of new Zelda adventures the system might offer in the future. This is The Legend of Zelda: Ocarina of Time, just as you remember it, reborn for a new portable system and a new generation of gamers across the globe. If you have never played this classic game, stop reading this review and get out there and buy it. The core essence of Ocarina of Time ages exceptionally well (even in light of sequels that have expanded on it), and it's never looked better. The Legend of Zelda: Ocarina of Time 3D brings an endearing classic back to life for a new generation of gamers to experience… even if Navi is still as annoying as ever. Still a classic, still an explosion of nostalgia. Ocarina of Time 3D is a blissful rediscovery for veterans and an unmissable opportunity for newcomers. At the end of the day it can be summed up that The Legend of Zelda: Ocarina of Time finds a new home on Nintendo’s newest handheld console and the visual and gameplay improvements that have been crafted help make a game that suits the modern generation of gamers today. Although the core gameplay has been left untouched, there is just enough added or changed to make it not only interesting to veterans of the game, but it introduces the title in such a way that newbies will find much to love here. Despite its somewhat flat soundscape, Ocarina of Time 3D is a brilliant version of an already brilliant game, and is easily the strongest title on the fledgling 3DS platform. It sets a new standard for modern remakes of past-generation titles, proving that there's absolutely nothing wrong with a publisher capitalizing on gamers' nostalgia, so long as they can find a developer who loves the source material just as much as -- if not more than -- we do. Ocarina of Time 3D is my new favorite way to play one of my top 10 games of all time. Its updated visuals look great in 3D, the touchscreen streamlines inventory issues, and aiming with the gyroscope feels like much more than a gimmick. 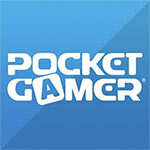 Whether you’re a newcomer to the series or a Zelda veteran, this game needs to be in your 3DS collection. 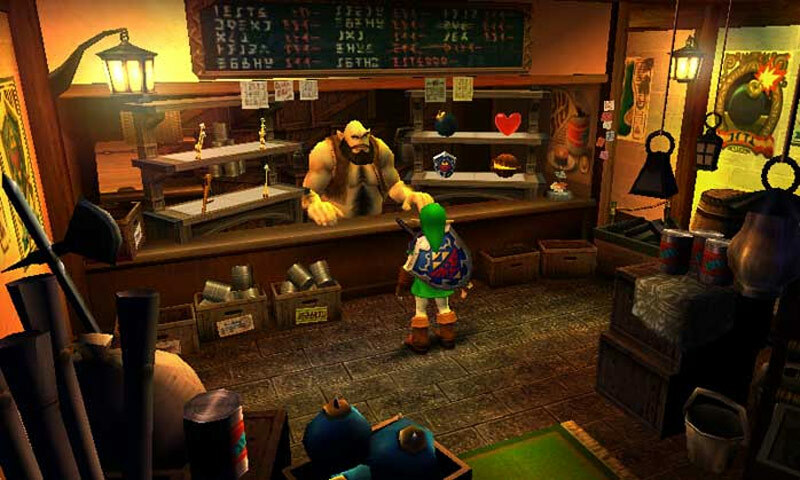 While other games have built on many of the mechanics and ideas The Legend of Zelda: Ocarina of Time brought to the industry, somehow Link's N64 debut still feels as fresh and exciting now as it did 13 years ago. We knew then that Miyamoto and co had made a classic, but it's only now that we can see just how revolutionary Ocarina of Time actually was. It's a game designed across two complete timezones, a world subtly gated by a complex system of item collection and improvement. These are principles that haven't aged and that still outpace almost all modern games in their ingenuity. Wait until you get to the Spirit Temple, you'll see what I mean. If you've never played Ocarina of Time before, run out and buy this immediately. If you're intimately familiar with the game, there's nothing too new in this version to pull you in, though if you ever get the urge to play it again, Ocarina of Time 3D lets you experience all your wonderful memories with a brand new modern feel. If you want adventure, discovery, action, puzzle-solving, exploration and an uplifting and classic tale told in the interactive form, this time delivered in glorious stereoscopic 3D, The Legend of Zelda: Ocarina of Time is exactly what you’re looking for. More than 10 years on, it’s still worth the price of admission. The Legend of Zelda: Ocarina of Time remains a true classic. The moves to the 3DS has given the game a whole new audience, one who may have missed this gem entirely otherwise. The hardware suits the action-adventure genre perfectly. All of the gameplay elements click together in a way that so few titles can achieve. The graphics are a well polished improvement – but only to the extent that they sharpen already fond memories. Sí, Nintendo, lo has conseguido: volvemos a sentir. Uno de los mejores juegos de la historia en versión portátil. Las 3D estereoscópicas más espectaculares del catálogo de la consola hasta la fecha. El uso indiscriminado de la pantalla táctil, esencial y sobresaliente. La piedra Sheikah, una ayuda que no resta esencia ni demasiado reto al juego. Ejemplar localización al castellano. Ocarina of Time significa algo muy distinto para mi de lo que significaba hace trece años, pero el hecho de que todavía tenga tanto significado no hace más que reafirmar que este juego es una de las cosas más grandes que nos ha regalado el mundo del videojuego. Estamos, sin duda, ante el primer juego de 3DS que deberías comprar sí o sí. El regreso remasterizado de una de las grandes obras de todos los tiempos como es Ocarina of Time, siempre es buena noticia, sobre todo si viene acompañado de un conjunto de mejoras visuales y tecnológicas. Y aunque podría criticársele cierta falta de innovación en su planteamiento (sin grandes novedades más allá de lo estético), su naturaleza de leyenda atemporal le hace viajar en el tiempo -como a Link- sin que pierda la frescura y gran jugabilidad que le hizo triunfar en su momento. Diese Version wurde grafisch verschönert, in der Steuerung modernisiert und für Einsteiger optional erleichtert, aber der ansehnliche 3D-Effekt sorgt nicht für einen Wow-Effekt oder gar ein frisches Spielerlebnis – man kann ihn auch getrost abschalten. Dafür hätte es auch zusätzliche Dungeons oder Gebiete gebraucht, die es auch in dieser dritten Auflage nicht gibt. Und so dürften Veteranen lediglich aufgrund der neuen Boss-Herausforderungen ins Grübeln geraten. Symbolisant pour une bonne partie des joueurs les retrouvailles attendues de longue date avec l'épisode le plus adulé de la série, ce remake d'Ocarina of Time risque de demeurer pour longtemps le fer de lance de la Nintendo 3DS. The Legend of Zelda : Ocarina of Time 3D est ce qui pouvait arriver de mieux à la 3DS en manque de hit. Certes, il ne s’agit que d’un remake… mais quel remake ! Épique, passionnante et unique en son genre, cette nouvelle aventure est un plaisir dont on profite à chaque instant. Legend of Zelda Ocarina of Time é uma obra genial. É um fulgor que perdura depois destes anos e que se revalida como se fosse a primeira vez. 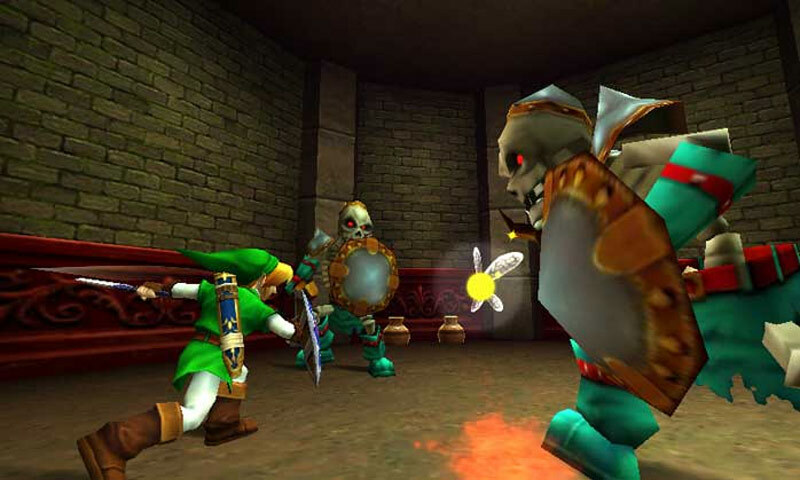 Descobrir Ocarina of Time, totalmente melhorado, num glorioso 3D, e sob a forma exclusiva de jogo portátil é ir ao encontro de uma obra fascinante, ainda surpreendente e única, cuja magnitude ganha força quando se investe na descoberta e no conhecimento dos sucessivos enigmas. Se, come me, all'epoca avete fatto il tremendo errore di lasciarvi sfuggire quello che da ora in poi considero il nuovo paradigma non solo della saga ma dell'intero genere action-adventure, ora avete l'occasione di rifarvi. Per voi Ocarina of Time non solo sarà il primo titolo per cui valga la pena acquistare un 3DS, ma rappresenta anche l'avventura di una vita. Maar het zijn schoonheidsfoutjes, foutjes die er vroeger al waren. Als je bedenkt dat we hier te maken hebben met een remake van een game uit 1998 is het zeer mooi om te zien dat het spel je na zoveel jaren nog steeds vervoert naar een andere wereld, je letterlijk optilt naar een hoger niveau. Hoe is het toch mogelijk dat een spel dat al jaren uit is toch zo cool is om te spelen? En werkelijk: alles, maar dan ook alles ziet er mooier uit.